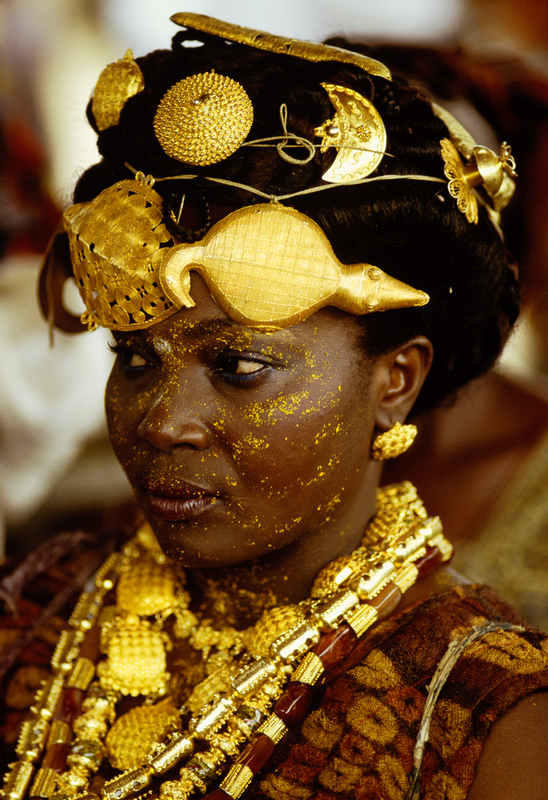 Wearing gold turtle and crocodile talismans in her hair, the Queen Mother of the neighboring kingdom of Adioukrou displays her status. Magnificently bedecked in gold jewelry, she exhibits her husbandâs substantial authority and worth. This ostentatious display is known as the coming-of-wealth ritual and publicly declares that a man has reached an impressive stage in the accumulation of riches. Sprinkled on her face is gold dust, once the main currency of all Akan peoples.